FREE Pet Exam at Banfield Pet Hospital! Here's an awesome freebie for any pet owner! 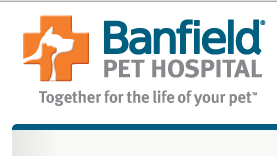 Head over and fill out short form to score a coupon good for a FREE pet exam at Banfield Pet Hospital! These are found in PetsMart pet stores so if you have one of those near you, you may have a hospital in it. This coupon is valid for first-time exams only.